Practical dry contact input that guarantees the easiest connection of the motor to the control devices and allows the integration with the most advanced building management systems.Simple installation thanks to the reduced wiring and the automatic limits setting function. The Edge version, with built-in radio receiver, can be easily controlled by user-friendly radio transmitters, for the greatest comfort in any situation. The self-lubricating rail and the robust toothed belt make itthe ideal solution for those environments where the noiselevels must be minimal.Soft start and soft stop for a smooth movement,maximizing motor and rail life. With the aid of cutting-edge machinery and a team of diligent workforce, we have been able to offer optimum quality Curtain Motor to our valuable customers. 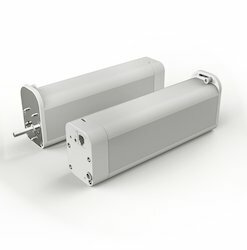 Available with us at industry leading prices, these curtain motors are highly demanded for their built-in overload protection and longer serving life. Transmit your video and integrate it with automatic license plate recognition and driver image - capture cameras. The CPAS UVIS system can be configured with motion detection or loop detection so that you only record "live" events. With the CPAS series, you can view in real - time and full color for the entire length of the vehicle. See it live with no delay. There is no waiting like with other systems and no need for expansive control units. Full high definition color, even with vehicles moving up to 75 KMPH. The scanning cameras are available from 500FPS up to 900FPS. A high - resolution digital color camera give you clear, sharp images. Bright white, high-intensity LED - based lighting illuminates the vehicle's undercarriage so details arent's lost in shadows. With the full length light arrangement and specially designed camera angle the wheel wells and other under carriage details are easy to capture so there is no need to add any additional auxiliary cameras for hard to view areas. The heavy duty system comes with built in Scanner and lights arrangements. The weight bearing capacity for standard systems is 78-ton with an optional 110-ton version available upon request. Harsh environments, rugged terrain and extreme temperatures were taken in to consideration while designing this system. All CPAS systems are backed by a two year warranty with worldwide installation and support available. 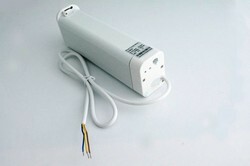 Looking for Automatic Curtain Motor ?